The Bull Pond Preserve totals 71 acres. 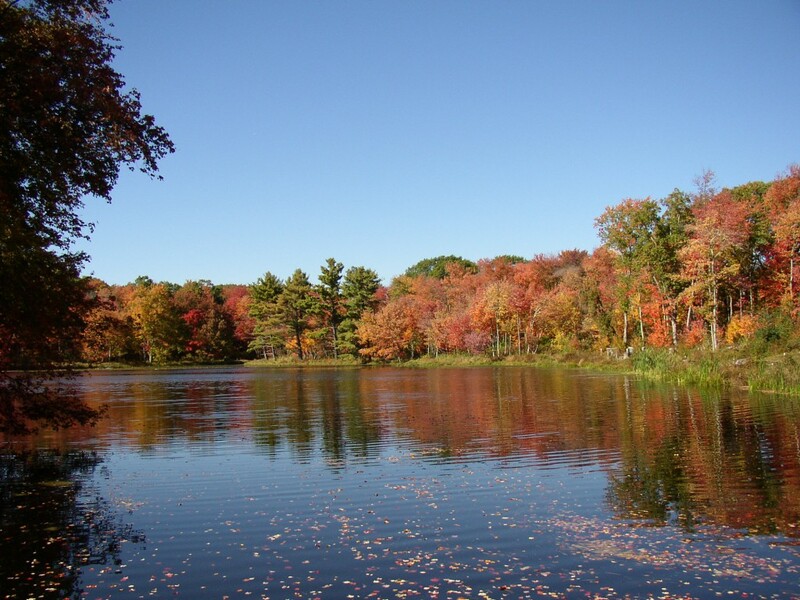 It includes 20-acre Bull Pond, and about 50 acres of upland forest and low-lying marshland. The property was donated to the Harwinton Land Trust by the Heflin Family in 1988. The official name of the preserve is the Allen M. Heflin Wildlife Sanctuary. 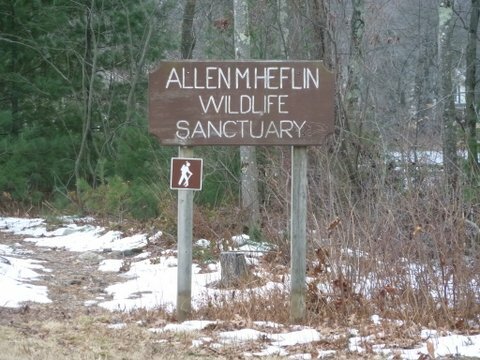 Allen Heflin loved nature, visited nature preserves around the world, and insisted to his family that the property remain a wildlife sanctuary. The Heflin Family continues to support the land trust. 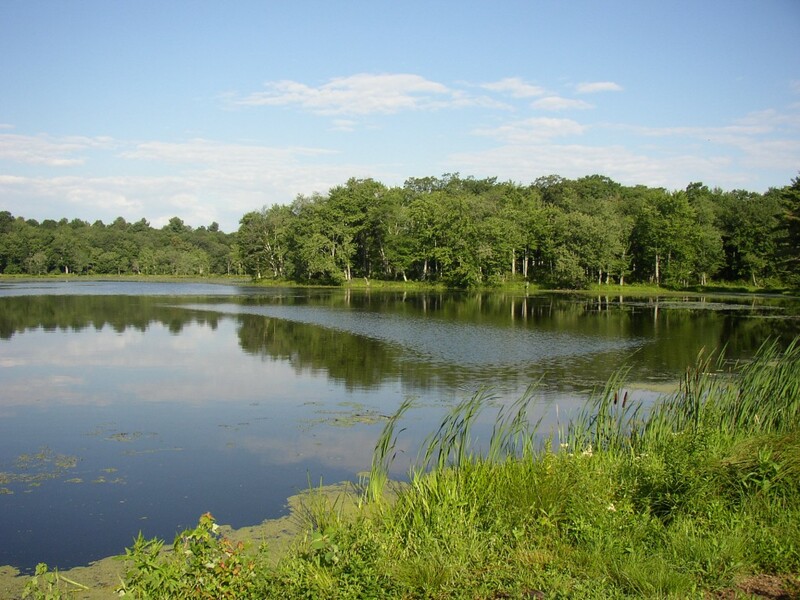 Public parking for the Bull Pond Preserve is located across from the Harwinton Fairgrounds on Locust Road, either from the paved drive leading to the pond (by courtesy of the Harwinton VFD) or by parking alongside the road (see Bull Pond parking locations). Visitors who park along the road can use the path starting at the “Heflin” sign that leads to a wildlife observation deck next to the pond. The observation deck is a nice place just to relax, enjoy the scenery, and watch nature unfold. 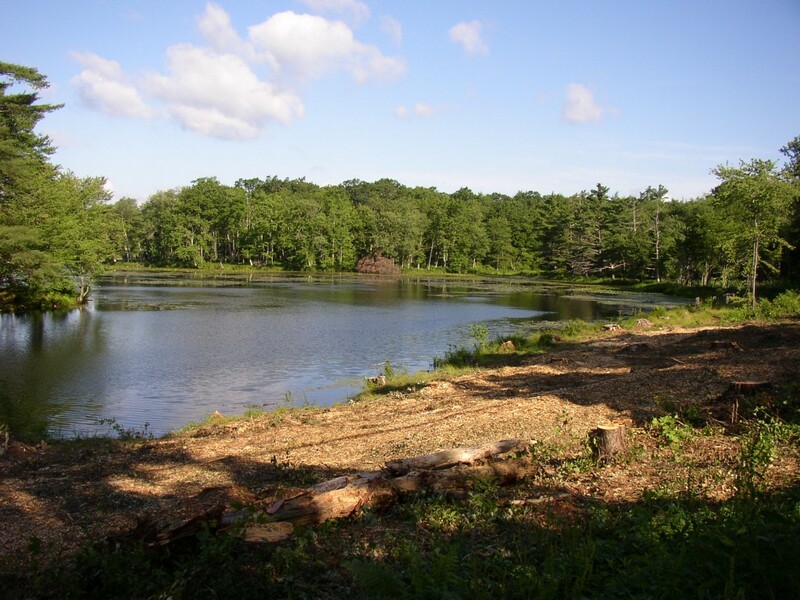 Visitors to the preserve will notice that the area between the pond and road had been cleared of large trees and is now open with many large tree stumps. The stumps are a reminder of the 2009 windstorm which devastated the magnificent stand of white pines that previously stood there. 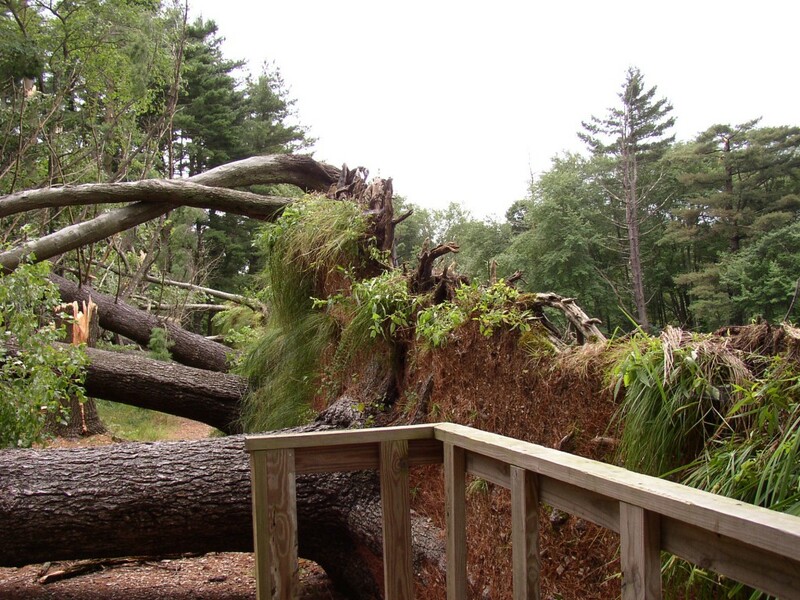 Many trees were instantly blown over or sheared in half by the downburst of wind. It’s amazing that the observation deck remained untouched. Downed and broken trees were promptly removed. However, other trees that remained standing were severely damaged and prone to future blow-down. By the summer of 2011, the affected area was completely cleared of all trees. Although the magnificent stand of pine trees had been lost, the openness of the area provided better views and became more inviting to the public. 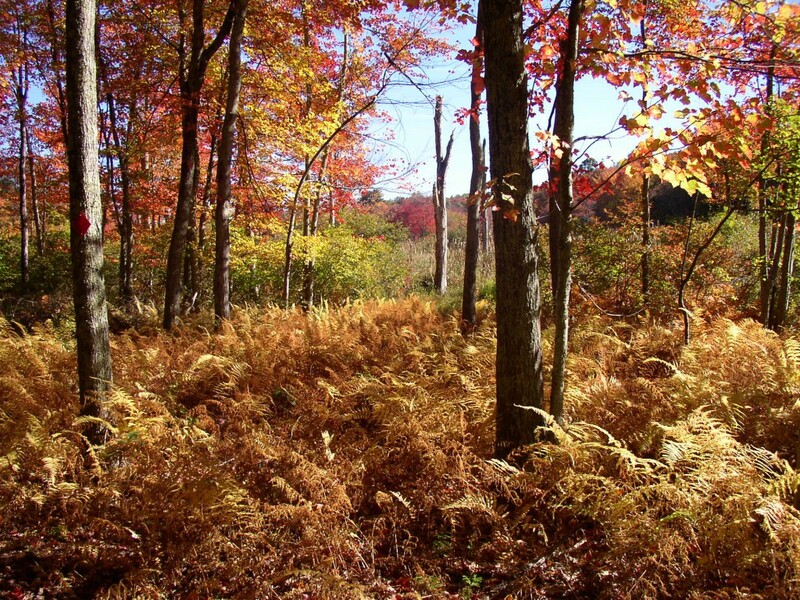 Major restoration efforts began in spring 2014 when hemlock and red oak seedlings were planted throughout the area. 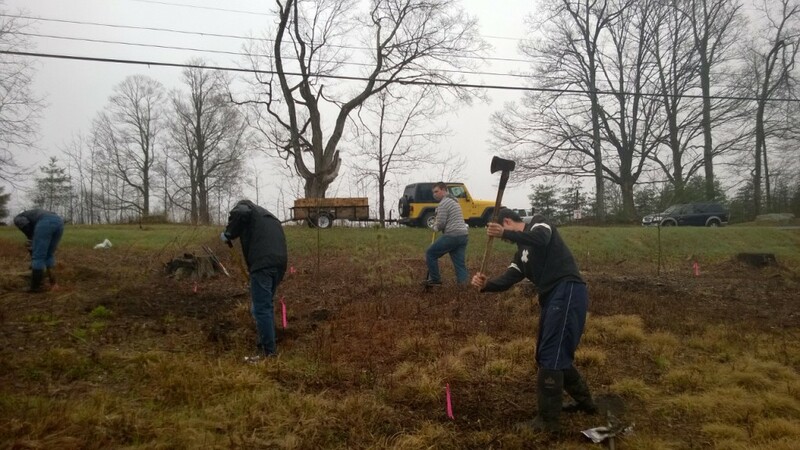 Blueberry bushes and mountain laurel were also planted along the shore to provide a natural buffer along the pond edge and to prevent shore erosion. As the trees grow, they will need to be thinned to maintain a good view of the pond and a continued attractiveness to the area. 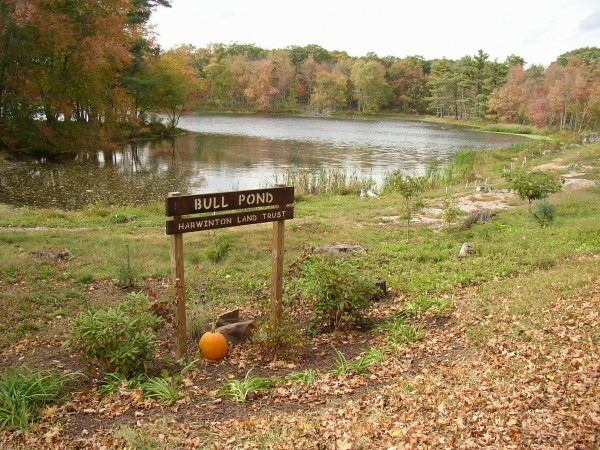 The main feature of the property is Bull Pond. It’s not only an attractive attribute for Harwinton, but also an important recreational resource for local residents. The pond is relatively shallow and tends to get weedy in the summer. It was dug out of a swamp in 1934, and a masonry dam was built shortly thereafter to increase its size. 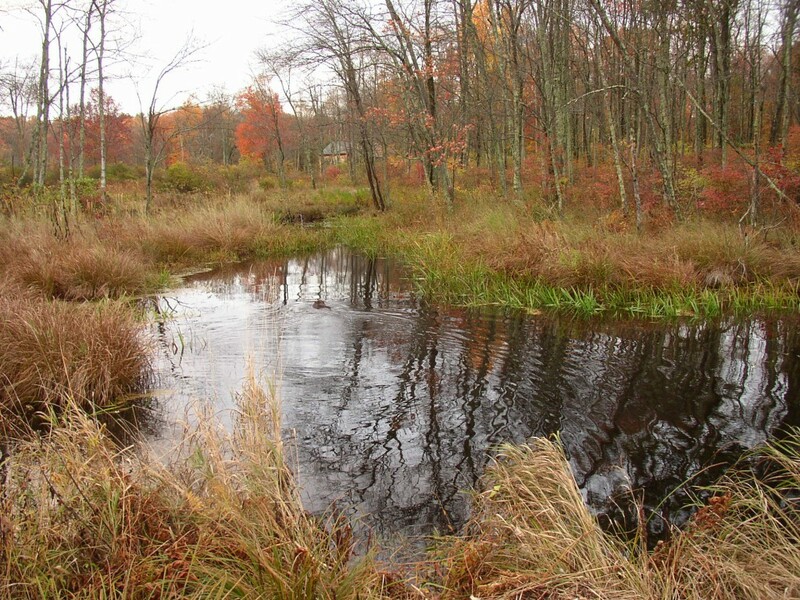 Recently, normal water levels are being consistently maintained by a small beaver dam. A section of the masonry dam collapsed in 2004 and costly renovations may be required (see Bull Pond Dam-Comprehensive Summary). 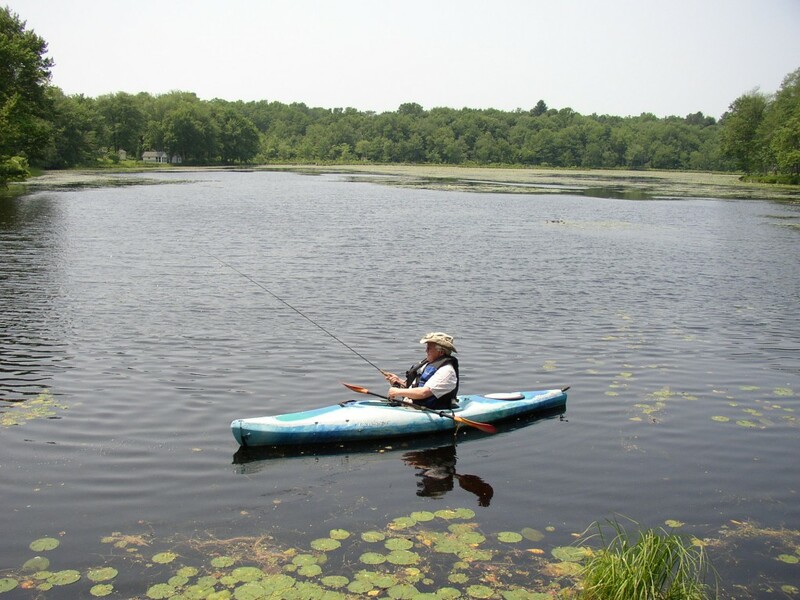 Fishing and boating on Bull Pond is welcome (motors not allowed). There is an informal boat access for canoes and kayaks next to the paved driveway. During the spring, fishing along the shore for sunnies should be great fun for kids (bring plenty of worms!). Fishing has also been good for calico bass and brown bullheads. Yellow perch, largemouth bass, and chain pickerel are also present. Please retrieve broken fishing line, so not to harm wildlife. Ice skating is available when the ice is safe. Please use caution; ice is always thin and unsafe near the dam and near stream inlets that carry dissolved road salts. 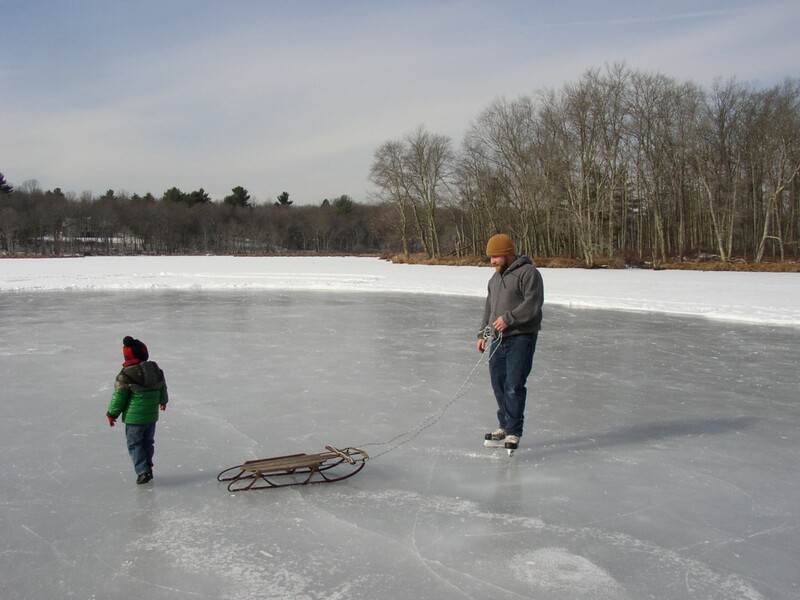 Local volunteers often shovel-off skating rinks, and they’d appreciate that visitors avoid creating ruts or holes in the ice within areas they cleared for skaters. 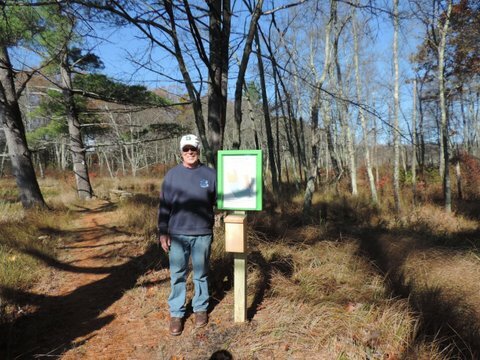 In 2014, the Trust completed a trail system through the upland forest area of the preserve (see Bull Pond Printable Map). The trail begins just past the observation platform. About 100 yards from the beginning of the trail, there’s a posted trail map that hikers can review before heading out. Please feel free to take a foldout map with you. The entire trail provides about a 2-mile walk back and forth, but hikers can choose shorter trail loops. The longest hike might take an hour of steady walking and perhaps two hours to stop and enjoy the sights. The shortest trail loop to the back of Bull Pond should take only about a half hour of steady walking. There are five geocaches hidden along the trails (see the Geocaching page for more information). While at the map post, notice that you’re standing on a ridge of dry land with a wetland and pond on either side. The ridge of dry land here and elsewhere along the pond is probably soil bulldozed out of previous swampland to create Bull Pond beginning in 1934. 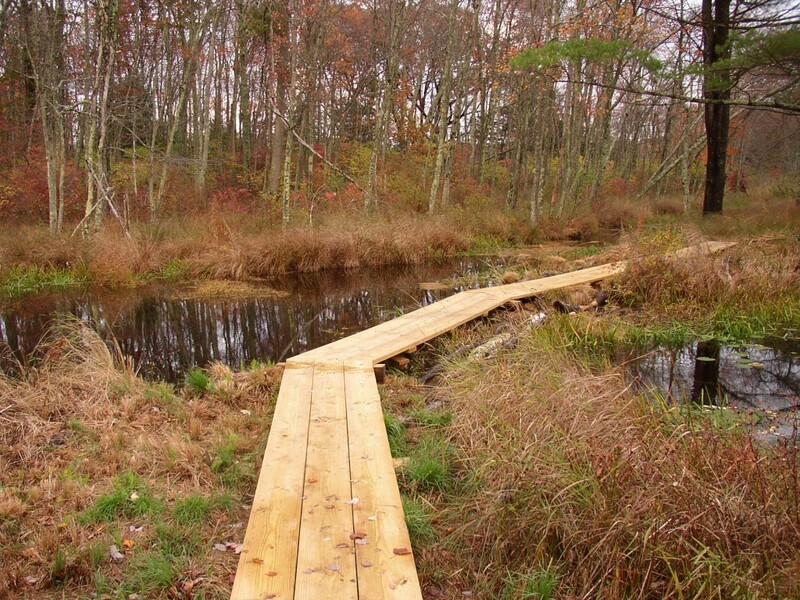 Just beyond the map post, an 80-foot long boardwalk allows hikers to cross over a long beaver dam and extensive marsh. Smaller boardwalks and a footbridge over a perennial stream have also been installed. Four separate trails are interconnected with loops that allow walkers to return a different way than from where they entered. Trails are well-marked and dry during normal weather conditions. The separate trails are marked with white blazes (photo below), as well as yellow, green, and red plastic blazes nailed (aluminum) to trees. 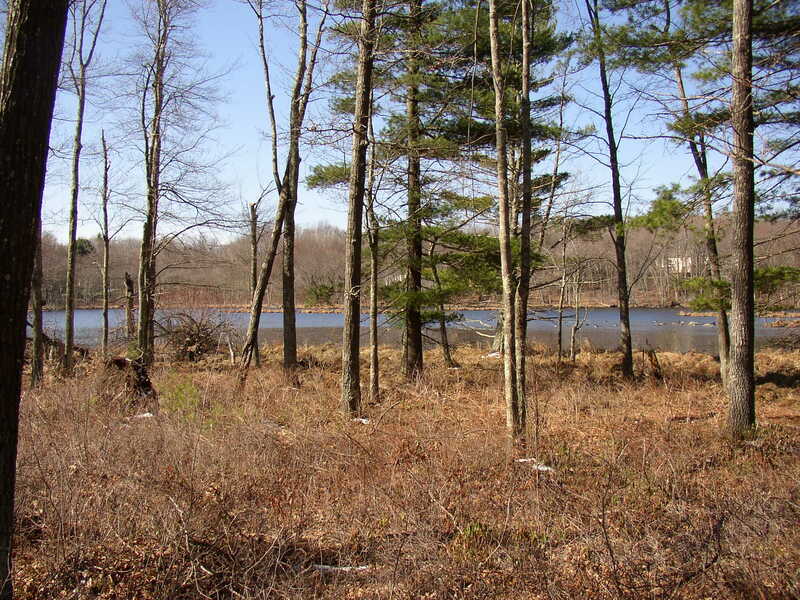 Much of the white trail provides scenic views of Bull Pond. 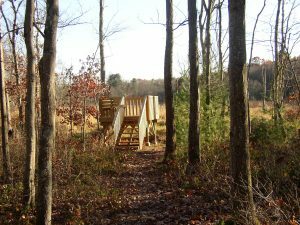 Several park benches have been placed along the white trail to give visitors a chance to relax and take in the views. 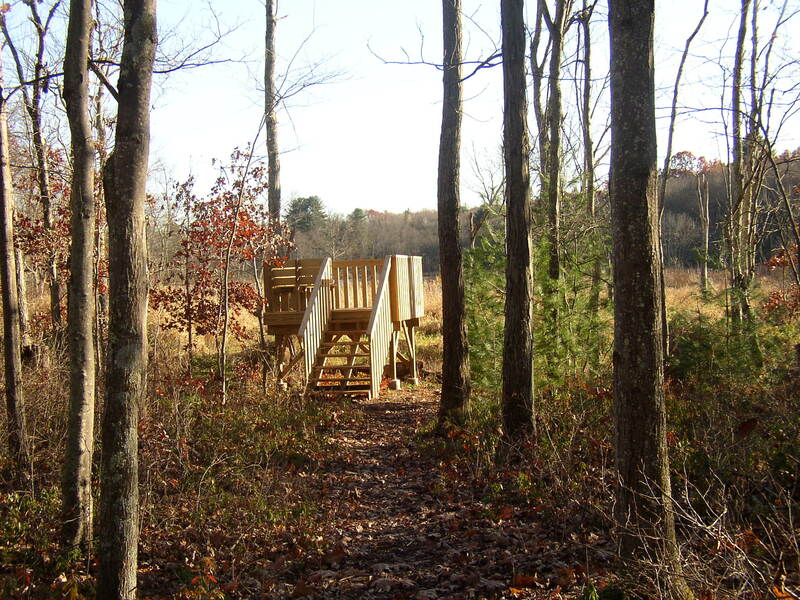 An elevated observation deck is located at the very end of the trail system, and provides sweeping views of the remote, upper area of the pond and marsh system. The deck should provide excellent bird watching opportunities or just a nice place to take in the views. Trails are relatively flat and easy to walk for nearly everyone. Dogs on lease are also most welcome to lead their people along the way. 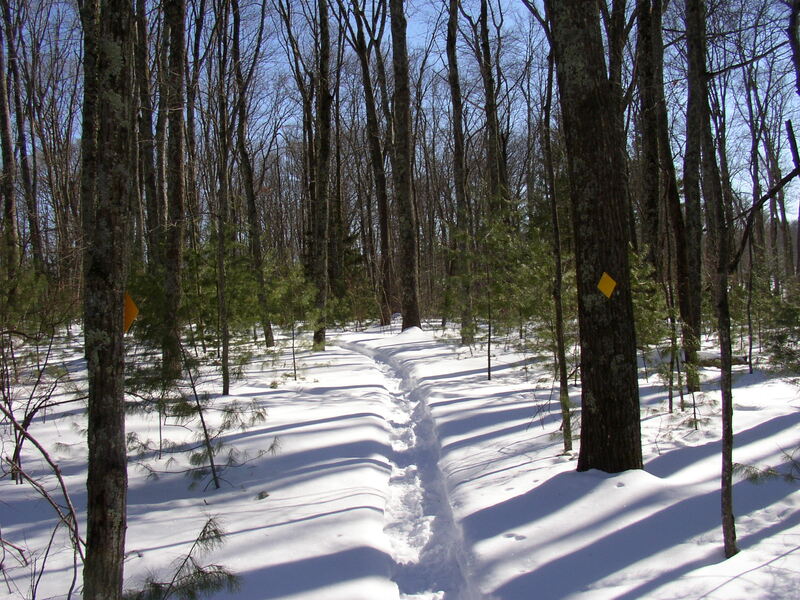 Snow shoeing and cross country skiing should also be good along the trails (watch for snow-covered edges of boardwalks). Trails were laid out to provide the best views and interesting features. 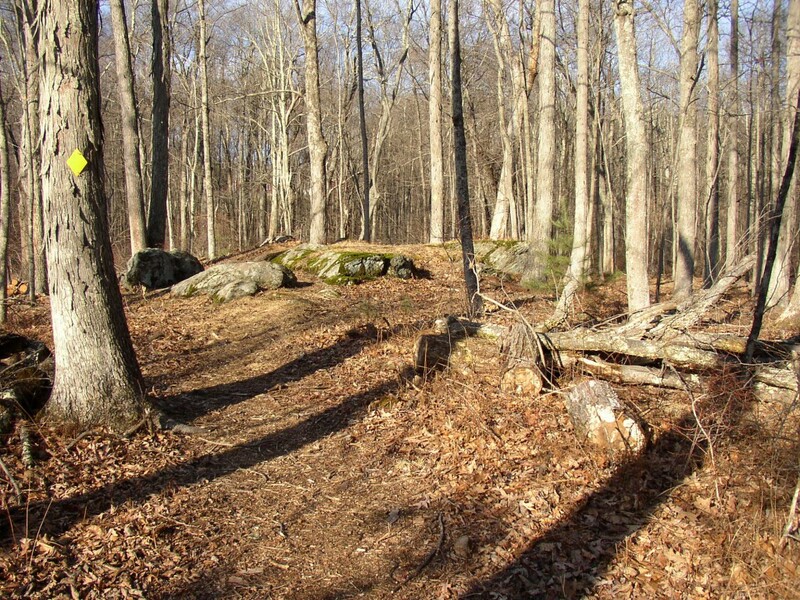 The shortest trail loop leads around the scenic and remote upper area of Bull Pond. 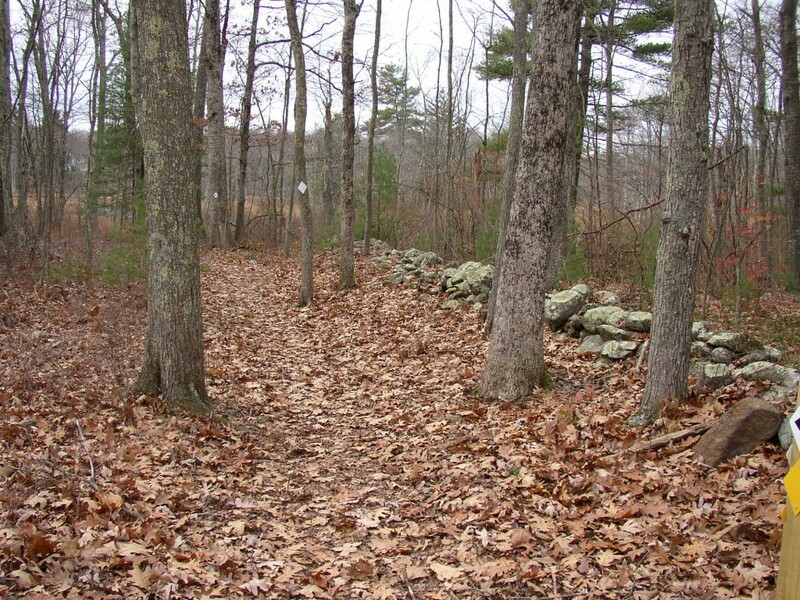 Trails follow the numerous stone walls on the property. The stone walls are a reminder of the area’s agricultural past. There are also several ledge promontories where hikers can scan the surrounding terrain. 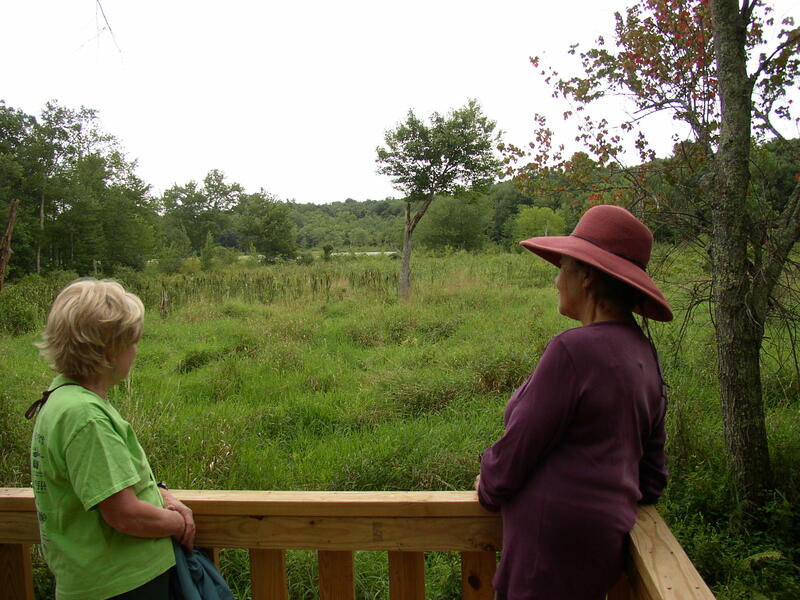 With its great variety of habitats, the preserve should offer excellent opportunities for wildlife watching. 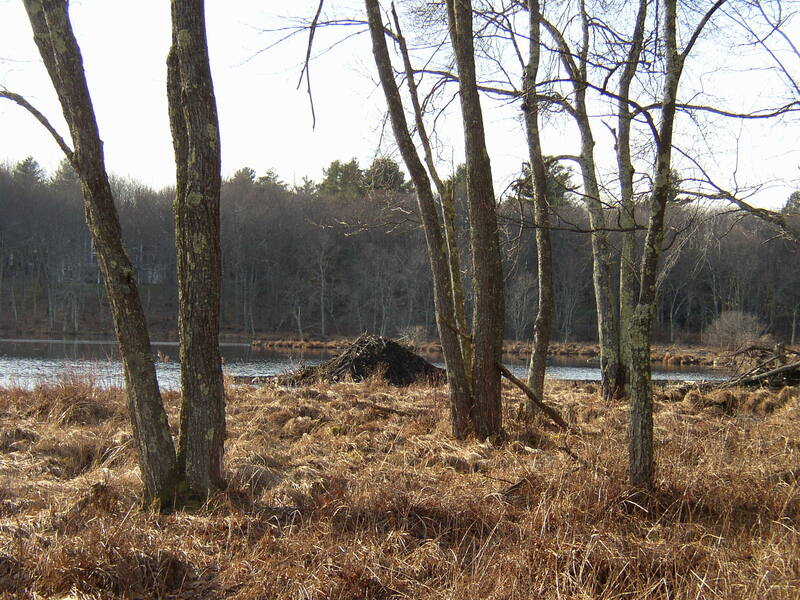 A massive beaver lodge can be seen just as the pond-side trail turns towards the upland forest. If you visit at dusk, you’ll have a good chance of seeing a beaver. 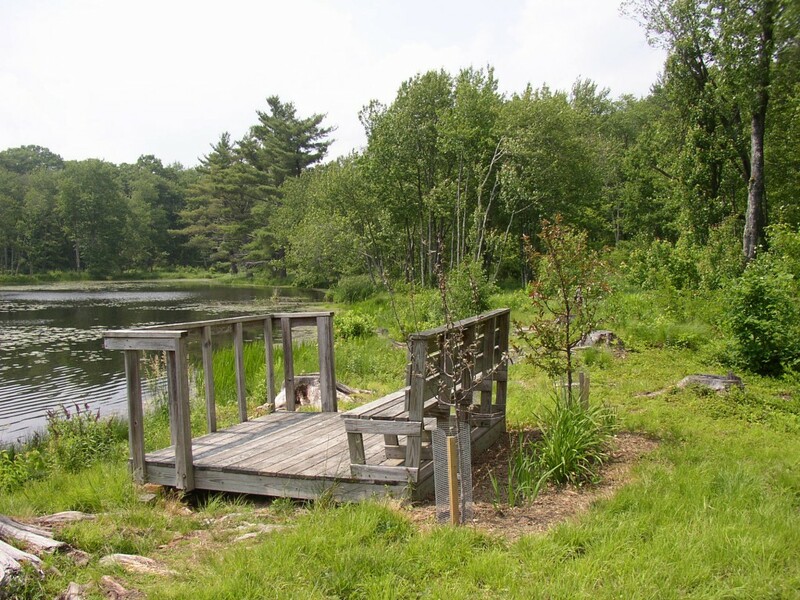 Eagle Scouts, Brian Rotondo in 2003 for building an observation deck on the pond’s shore, Connor McCluskey in 2011 for installing two wood duck nesting boxes, and Joseph Sefcik in 2018 for building an elevated observation deck overlooking the pond’s remote upper area. Supreme Industries of Harwinton in 2010, for donating time and equipment to remove all downed and broken trees after the 2009 windstorm. Town of Harwinton, Highway Dept. in 2014, 2017 and 2018 for providing surplus stone for trail improvement and in 2016 for providing protective barrier posts. 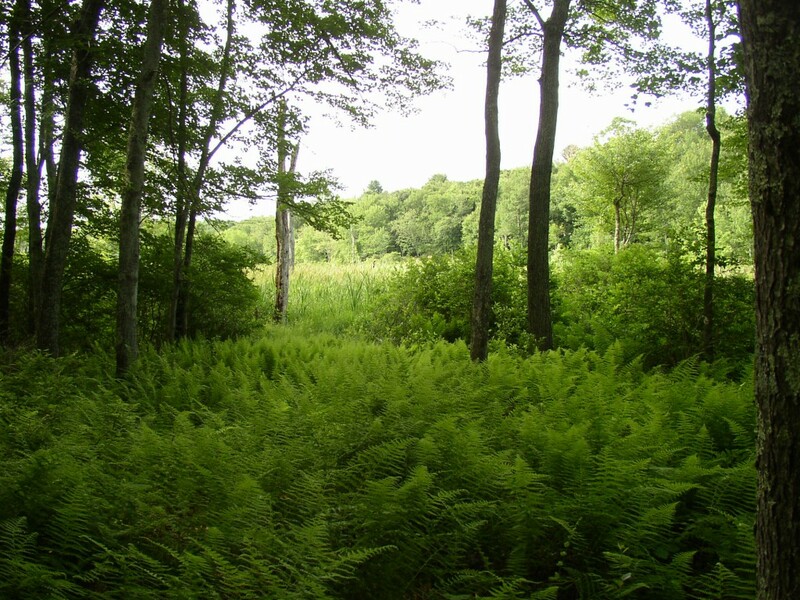 The NW CT Community Foundation in 2014 and 2017 and the Thomaston Savings Bank Foundation in 2018 for providing grants to cover the cost of tree seedlings and shrubs needed to restore the damaged area. The CT DCT’s Wilderness School in 2017, and 2018 for helping to improve the trail system. The Harwinton Garden Club in 2014, for creating a flower garden at the Bull Pond sign. Glen Richardson in 2015 for Master Gardener Project that created additional flower gardens.